For the last two years I have created video tutorials on YouTube and in depth courses on Udemy. And from what I have learned in that time, video tutorials and courses are both great ways to learn. What I have also learned is that for people beginning iOS development it is sometimes hard to find a red line or a structure on how to approach learning iOS development. As a consequence, I am now working together with Nooma.tv to offer you a complete class called Brian Advent’s iOS School – Learn iOS development in 90 days. What is Nooma.tv and why is it a great way to learn iOS Development? Even with all the tutorials, books, and DIY courses in the world today, learning a totally new skill on your own can still feel like an insurmountable challenge. What if you have a very specific question as you’re studying and have no one to ask? What if your greatest need is not more information, but structure and companionship, so you can stay inspired and accountable? What if you’re not progressing towards your goal at the speed you would have liked and you’re not sure how to change that? Nooma.tv is a live learning community where you learn new skills directly from industry experts face-to-face in real-time in participation-driven classrooms. The best learning experiences lead to the best results and we believe the best learning experiences are results-oriented, fun, and driven by personal relationships. Your mission is to acquire a new skill to change your life and career for the better – Nooma.tv and I are on a mission to give you the best learning experience possible, so you can achieve your goals. All streams of lessons are live, interactive, and free to watch. They are also archived for playback in case you miss it or want to review. Want to have more fun, ensure deeper learning and faster progress? Become a subscriber for $500 / month and unlock regular face time with me and fellow students. 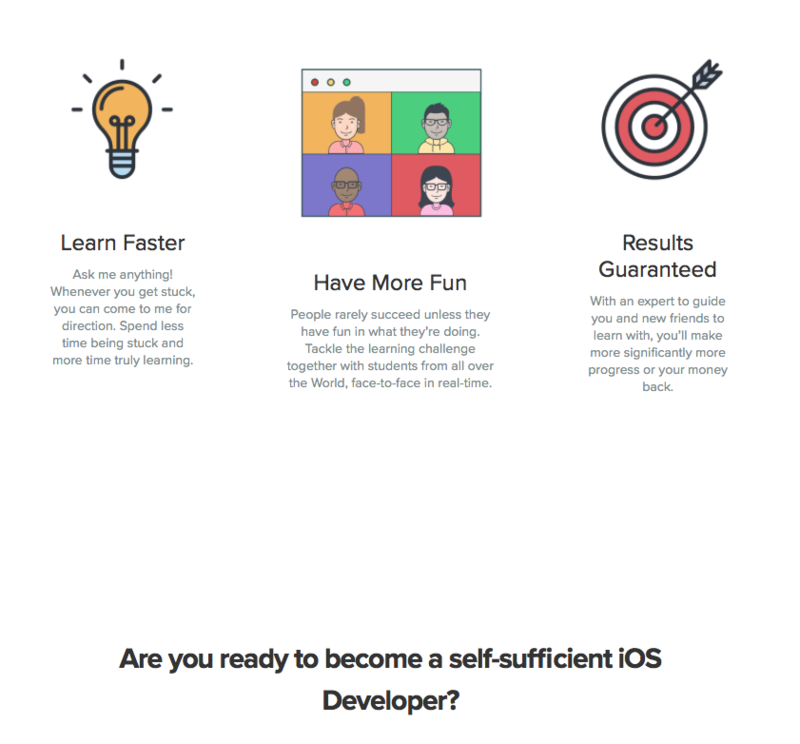 In just 3 months and a $1500 investment, you can go from never having written code to having created 3 of your own apps and being a self-sufficient iOS Developer! Classes will meet 2-3x a week for 1-2hrs each time. You must be willing to commit at least 20 hours a week to studying and completing the assigned challenges. So if you are interested in becoming a self-sufficient iOS developer, press the button below!